Talks presented at conferences (>220 total, 2013 onwards shown). Talks to the general public can be found here and academic colloquia at universities are here. Lewandowsky, S. (2019, February). Coping With the Post-truth World. Paper presented at the Annual Meeting of the American Association for the Advancement of Science, Washington, D.C.
Lewandowsky, S., Pilditch, T. D., Madsen, J. K., Oreskes, N., & Risbey, J. S. (2018, November). Scientific Uncertainty in Public Discourse: Evidence for Seepage into the Scientific Community. Paper presented at the 59th annual meeting of the Psychonomic Society, New Orleans, Louisiana. Lewandowsky, S. (2018, November). For “alternative facts”, there is no alternative to logic. Paper presented at the 26th biennial meeting of the Philosophy of Science Association, Seattle, Washington. Lewandowsky, S. (2018, October). Conspiracy theories and climate change. Paper presented at the 7th Meeting of the COMPACT network, Dubrovnik, Croatia. Lewandowsky, S., & Oberauer, K. (2018, June). There is a replication crisis, but low replicability of published findings is good for science. Paper presented at the 17th Annual Summer Interdisciplinary Conference, Loano, Italy. Lewandowsky, S., Swire, B., & Ecker, U. K. H. (2018, May). Are We “Post-Truth” or “Post-Caring”? When Political Affect Becomes Decoupled From Truth. Paper presented at the International Meeting of the Psychonomic Society, Amsterdam. Lewandowsky, S. (2018, April). “Post-truth” politics: Democratization of information or gateway to authoritarianism? Keynote presented at the 45th Annual Conference of the Australasian Society for Experimental Psychology, Hobart, Tasmania. Lewandowsky, S. (2018, March). Rejection of Science: Supply and Demand. Paper presented at the conference Ciencia e Ideología; III Congreso de Pensamiento Crítico y Divulgación Científica, Valencia, Spain. Lewandowsky, S. (2018, February). The inevitability of conspiracist discourse in science denial. Paper presented at the Annual Meeting of the American Association for the Advancement of Science, Austin, TX. Lewandowsky, S. (2017, November). Jekyll and Hyde: Science blogs vs. blog “science”. Paper presented at the Women in Cognitive Science annual meeting, Vancouver, B. C., Canada. Lewandowsky, S., & Oberauer, K. (2017, November). Worldview-motivated rejection of science and the norms of science. Paper presented at the 58th annual meeting of the Psychonomic Society, Vancouver, B. C., Canada. Oberauer, K., & Lewandowsky, S. (2017, November). Simple measurement models for complex working memory tasks. Paper presented at the 58th annual meeting of the Psychonomic Society, Vancouver, B. C., Canada. Swire, B., Berinsky, A., Lewandowsky, S., Ecker, U. K. H. (2017, November). Source evaluation after disproportionate presentation of misinformation and fact. Poster presented at the 58th annual meeting of the Psychonomic Society, Vancouver, B. C., Canada. Lewandowsky, S. (2017, September). Climate communication in context. Invited keynote presented at the conference Kongress zu Klimawandel, Kommunikation, und Gesellschaft. Salzburg, Austria. Lewandowsky, S. (2017, September). Beyond Misinformation: Understanding and Coping With the “Post-truth” Era. Invited paper presented at the Wenner-Gren Foundations International Symposium “Knowledge resistance and how to cure it”, Stockholm, Sweden. Lewandowsky, S. (2017, September). Jekyll and Hyde: Science blogs vs. blog “science”. Paper presented at the Women in Cognitive Science symposium in connection with the 20th Conference of the European Society for Cognitive Psychology (ESCoP), Potsdam, Germany. Lewandowsky, S., & Oberauer, K. (2017, September). Being Open but not Naked: Balancing Transparency with Resilience in Science. Paper presented at the 20th Conference of the European Society for Cognitive Psychology (ESCoP), Potsdam, Germany. Oberauer, K., & Lewandowsky, S. (2017, September). Addressing the Theory Crisis in Psychology. Paper presented at the 20th Conference of the European Society for Cognitive Psychology (ESCoP), Potsdam, Germany. historical and conceptual context: Scientific decision making under uncertainty. Paper presented at the 26th Subjective Probability, Utility and Decision Making (SPUDM) conference, Haifa, Israel. Undeniable Climate Change. Invited presentation at the Interdisciplinary Workshop on “Conspiracy theories, delusions and other ‘troublesome’ beliefs”, Macquarie University, Sydney, Australia. Lewandowsky, S. (2017, July). Rational denial of undeniable climate change. Paper presented at the 16th Annual Summer Interdisciplinary Conference, Interlaken, Switzerland. Blind Test of Contrarian Claims about Climate Data. Paper presented at the Cambridge Risk and Uncertainty Conference (RUC), Cambridge, UK. historical and conceptual context: Scientific decision making under uncertainty. Paper presented at the Cambridge Risk and Uncertainty Conference (RUC), Cambridge, UK. Lewandowsky, S. (2017, May). Being open but not naked: Balancing transparency with resilience in science. Invited keynote presented at the 5th World Conference on Research Integrity, Amsterdam, Netherlands. Lewandowsky, S. (2017, February). When denial of the undeniable and logical incoherence are politically rational: An anatomy of climate change denial in an era of ‘post-truth’ politics. Paper presented at the conference Communication & Cognition 2017: Miscommunication – getting lost in language(s), Fribourg, Switzerland. Lewandowsky, S. (2017, January). Climate denial: Tools and Effects. Paper presented at the 12th annual meeting of the Society for Applied Research in Memory and Cognition (SARMAC XII), Sydney, Australia. Lewandowsky, S. (2017, January). Misinformation and demagoguery in an age of “post-fact” politics. Paper presented at the 12th annual meeting of the Society for Applied Research in Memory and Cognition (SARMAC XII), Sydney, Australia. Lewandowsky, S., Risbey, J. S., Newell, B., Smithson, M., & Somerwill, L. (2017, January). Normative vs. Cognitive Construals of Uncertainty. Paper presented at the 12th annual meeting of the Society for Applied Research in Memory and Cognition (SARMAC XII), Sydney, Australia. Climate change and beyond. Paper presented at the annual meeting of the American Geophysical Union, San Francisco, CA. Lewandowsky, S., Risbey, J. S., & Boslough, M. (2016, December). Using bets to reveal people’s opinions on climate change. Poster presented at the annual meeting of the American Geophysical Union, San Francisco, CA. Lewandowsky, S., Risbey, J. S., Cowtan, K., & Rahmstorf, S. (2016, December). Sources of Uncertainty and the Interpretation of Short-Term Fluctuations. Paper presented at the annual meeting of the American Geophysical Union, San Francisco, CA. Lewandowsky, S. (2016, November). When denial of the undeniable and logical incoherence are politically rational: An anatomy of climate change denial. Paper presented at the international conference and workshop SCIECONS: Science and Conspiracy, Padova, Italy. Lewandowsky, S. (2016, November). Your Research! In the Psychonomic social media spotlight. Poster presented at the 57th annual meeting of the Psychonomic Society, Boston, MA. Lewandowsky, S., Somerwill, L., Ballard, T., & Brown, G. D. A. (2016, November). Cognitive vs. Normative Construals of Uncertainty. Paper presented at the 57th annual meeting of the Psychonomic Society, Boston, MA. Swire, B., Berinsky, A., Ecker, U. K. H., & Lewandowsky, S. (2016, November). Processing Political Misinformation—Comprehending the Trump Phenomenon. Poster presented at the 57th annual meeting of the Psychonomic Society, Boston, MA. Lewandowsky, S. (2016, October). Predicting and Busting (?) Vaccination Myths. Paper presented at the annual meeting of Healthwatch, London. Lewandowsky, S. (2016, October). When denial of the undeniable is politically rational: An anatomy of climate denial. Paper presented at the conference on Climate denialism/skepticism in a warming world, Linköping, Sweden. Lewandowsky, S. (2016, October). Panel member, Publishing Better Science through Better Data 2016 (#scidata16). London, UK. Lewandowsky, S., Freeman, M. C., & Mann, M. E. (2016, July). Quantitative constraints on the intergenerational social discount rate in climate change. Paper presented at the 15th Annual Summer Interdisciplinary Conference, Selva, Italy. Lewandowsky, S. (2016, June). Predicting and busting (?) vaccination myths. Paper presented at the 16th Biennial European Conference of the Society for Medical Decision Making. London. Lewandowsky, S. (2016, May). The Jekyll and Hyde of scientific discourse on the internet. Keynote at the Digital dE-BiAsing Techniques for an Engaged Society (DebaTES) Conference. Newcastle. Lewandowsky, S., & Bishop, D. (2016, May). The dark side of Open Science: Weaponizing Transparency. Paper presented at the International Meeting of the Psychonomic Society. Granada, Spain. Lewandowsky, S., Gordon, A., & Quadflieg, S. (2016, May). The neural underpinnings of the continued reliance on misinformation after its correction. Paper presented at the International Meeting of the Psychonomic Society. Granada, Spain. Lewandowsky, S., Oberauer, K., & The Working Memory Benchmarks Team. (2016, May). The experts’ view on working memory. Paper presented at the International Meeting of the Psychonomic Society. Granada, Spain. Oberauer, K., Lewandowsky, S., Farrell, S., Jarrold, C. (2016, May). A Domain-General Model of Domain-Specific Effects in Working Memory. Paper presented at the International Meeting of the Psychonomic Society. Granada, Spain. Oreskes, N., & Lewandowsky, S. (2015, December). Reticence: Accuracy and Efficacy. Paper presented at the Fall Meeting of the American Geophysical Union, San Francisco. Lewandowsky, S. (2015, December). Motivated rejection of (climate) science: causes, tools, and effects. Paper presented at the Fall Meeting of the American Geophysical Union, San Francisco. Lewandowsky, S., Risbey, J. S., & Oreskes, N. (2015, December). 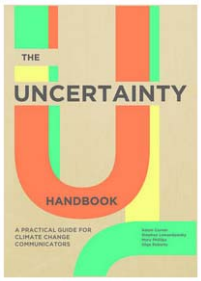 Uncertainty as impetus for climate mitigation. Paper presented at the Fall Meeting of the American Geophysical Union, San Francisco. Lewandowsky, S. (2015, November). Rehearsal in serial recall: An unworkable solution to the non-existent problem of decay. Paper presented at the annual meeting of the Psychonomic Society, Chicago, IL. Lewandowsky, S. (2015, September). The Quantum Mechanics of the Rejection of (Climate) Science: Achieving Coherence by Conspiracism. Paper presented at the conference Suspect Science: Climate Change, Epidemics, and the Questions of Conspiracy, Cambridge, UK. Lewandowsky, S., Oreskes, N., Risbey, J. S., Newell, B. R., & Smithson, M. (2015, July). Seepage: The Effect of Climate Change Denial on the Scientific Community. Paper presented at the 14th Annual Summer Interdisciplinary Conference, Mammoth Lakes, CA. Lewandowsky, S., Oreskes, N., Risbey, J. S., Newell, B. R., & Smithson, M. (2015, July). Seepage: The Effect of Climate Change Denial on the Scientific Community. Paper presented at the meeting of the International Society of Political Psychology, San Diego, CA. Lewandowsky, S., & Cook, J. (2015, June). 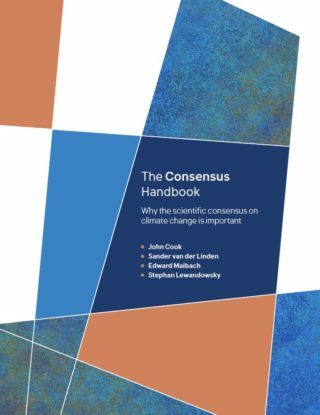 Vested Interests, Perceived Scientific Consensus, and Belief in Anthropogenic Global Warming. Paper presented at the meeting of the Society for Applied Research in Memory and Cognition, Victoria, B.C., Canada. Lewandowsky, S. (2015, June). Scientific knowledge and epistemic beliefs. Paper presented at the workshop Innovations and Advances in Survey-Based Research on Public Attitudes towards Science, Castle Rauischholzhausen, Germany. Lewandowsky, S. (2015, May). Computational Modeling of Cognition: Rewards and Challenges. Paper presented at the Annual Meeting of the Association for Psychological Science, New York. Cook, J., & Lewandowsky, S. (2014, December). 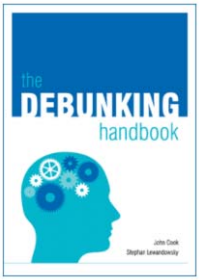 Prebunking is the new debunking: using inoculation to neutralise climate misinformation. Paper presented at the Fall Meeting of the American Geophysical Union, San Francisco. Modeling and Understanding the Climate vs. Human Cognition. Paper presented at the Fall Meeting of the American Geophysical Union, San Francisco. Lewandowsky, S. (2014, October). How to deal with the denial machine. Paper presented at the conference on Climate Psychology and Solutions, Oslo, Norway. Lewandowsky, S. (2014, July). Mechanisms of forgetting in short-term and working memory. Paper presented at the International Conference on Working Memory, Cambridge, UK. Lewandowsky, S., Ecker, U. K. H., & Oberauer, K. (2014, June). Evidence for Removal of Information From Working Memory. Paper presented at the 13th Annual Summer Interdisciplinary Conference, Moab, UT. Lewandowsky, S. (2014, May). The Psychology of Controversial Sciences: Perceptions, Cognitions, and Worldviews. Paper presented at the Doctoral School Science and the Public, Marburg, Germany. Lewandowsky, S., Brown, G. D. A., & Cook, J. (2013, December). Modeling the Uptake of Scientific Information by the Public and Opinion Flow in Society. Paper presented at the Fall Meeting of the American Geophysical Union, San Francisco. Lewandowsky, S., & Cook, J. (2013, December). Communicating More Effectively with Public Audiences. Paper presented at the Fall Meeting of the American Geophysical Union, San Francisco. Oreskes, N., & Lewandowsky, S. (2013, December)? Uncertainty Assessment: A Form of Seepage? Paper presented at the Fall Meeting of the American Geophysical Union, San Francisco. Lewandowsky, S., & Ecker, U. K. H., & Oberauer, K. (2013, November). Evidence for Active Removal of Information From Working Memory. Paper presented at the 54th Annual Meeting of the Psychonomic Society, Toronto, Ontario, Canada. Lewandowsky, S. (2013, November). Future Global Change and Cognition. Symposium organized at the 54th Annual Meeting of the Psychonomic Society, Toronto, Ontario, Canada. Lewandowsky, S. (2013, October). Human Cognition and Acceptance vs. Rejection of (Climate) Science. Invited paper presented at the 48th Annual Conference of the Australian Psychological Society, Cairns. Lewandowsky, S., Risbey, J. S., Smithson, M., Newell, B. R., & Hunter, J. (2013, September). Scientific uncertainty and climate change: Constraints on policy choices provided by an ordinal analysis of uncertainty. Paper presented at symposium on Forecasting, monitoring, controlling: Dealing with a dynamic world, UCL, London, UK. Lewandowsky, S., & Oberauer, K. (2013, September). Rehearsal in Working Memory: Friend or Enemy of Retention? Paper presented at CogDev2013, the Joint Annual Conference of the BPS Cognitive and Developmental Sections, Reading, UK. Cook, J., & Lewandowsky, S. (2013, August). The biasing influence of worldview on climate change attitudes and belief polarization. Paper presented at the 46th Annual Meeting of the Society for Mathematical Psychology, Potsdam, Germany. Ecker, U. K. H., Lewandowsky, S., & Brown, G. D. A. (2013, August). Implementing a consolidation mechanism into SIMPLE. Paper presented at the 46th Annual Meeting of the Society for Mathematical Psychology, Potsdam, Germany. Lewandowsky, S., & Oberauer, K. (2013, August). Rehearsal in working memory: Friend or enemy of retention? Paper presented at the 46th Annual Meeting of the Society for Mathematical Psychology, Potsdam, Germany. Ecker, U. K. H., Lewandowsky, S., & Oberauer, K. (2013, August). Removal of information from memory. Paper presented at the 35th Annual Cognitive Science Conference, Berlin, Germany. Little, D. R., Lewandowsky, S., & Craig, S. (2013, August). Working memory capacity and fluid abilities: The more difficult the item, the more more is better. Paper presented at the 35th Annual Cognitive Science Conference, Berlin, Germany. Brown, G. D. A., Lewandowsky, S., & Huang, Z. (2013, July). Social sampling theory: a model of social norms, segregation, and polarisation. Paper presented at the 12th Annual Summer Interdisciplinary Conference, Cortina d’Ampezzo, Italy. Cook, J., & Lewandowsky, S. (2013, July). Modeling Updating of Climate Change Beliefs Using Bayesian Networks. Paper presented at the 12th Annual Summer Interdisciplinary Conference, Cortina d’Ampezzo, Italy. Working Memory. Paper presented at the 12th Annual Summer Interdisciplinary Conference, Cortina d’Ampezzo, Italy. Lewandowsky, S., Oreskes, N., Risbey, J. S., Newell, B. R., & Smithson, M. (2013, June). Scientific uncertainty in public discourse: the case for seepage into the scientific community. Invited talk, American Geophysical Union Chapman Conference, Granby, Colorado. Lewandowsky, S. (2013, May). Misinformation and its correction: Continued influence and successful debiasing. Invited address for Psychological Society in the Public Interest, Annual meeting of the Association for Psychological Science, Washington, D.C.
Lewandowsky, S., & Oberauer, K. (2013, February). Rehearsal in working memory: With friends like these, memory needs no enemies. Paper presented at the 2013 Australasian Mathematical Psychology Conference, Sydney, Australia.